A perfect Christmas gift for all of your doggy friends! 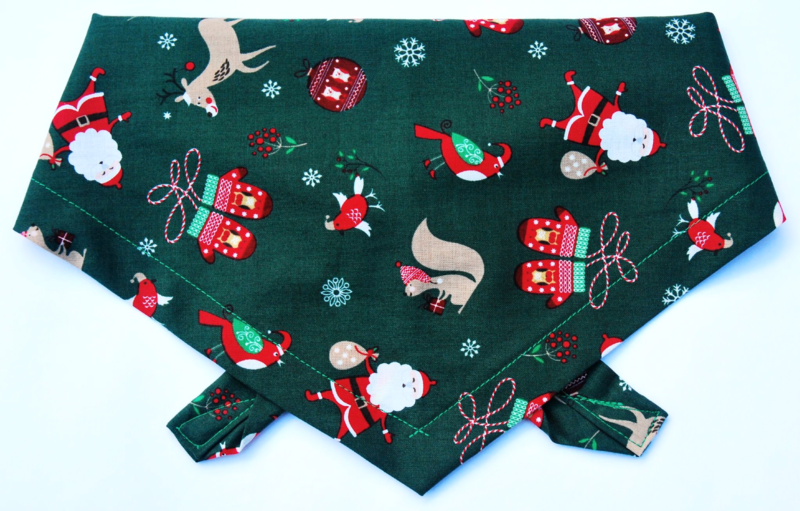 This green Christmas Cuties Dog Bandana looks fab and festive on all dogs! 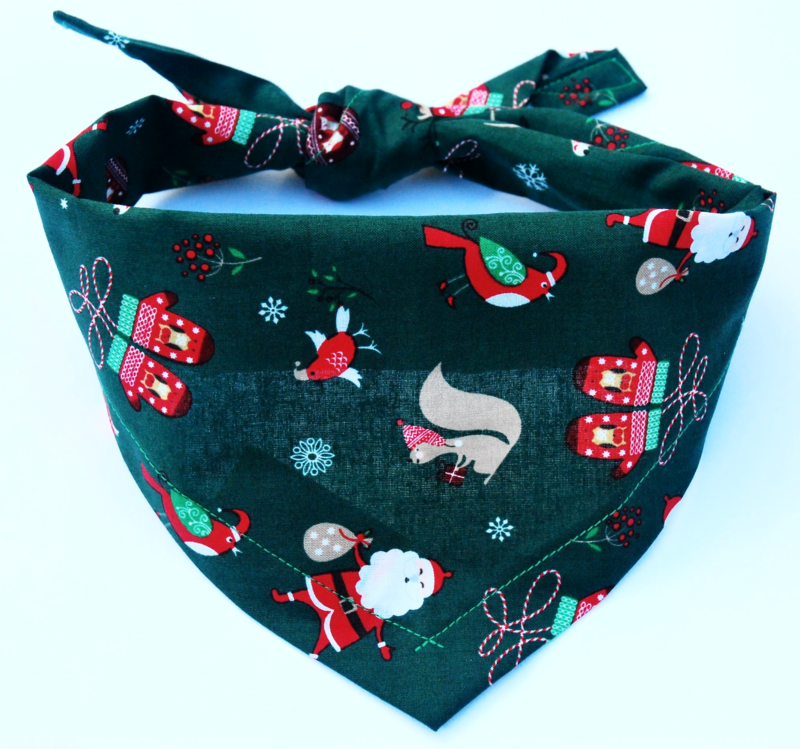 This is a high quality, 100% cotton Christmas Dog bandana! The background is a lovely festive dark green, and the design incorporates little jolly Santas, Reindeer, Squirrels, Baubles, Robins, Mittens and more! It's a really beautiful design, and is the perfect Christmas accessory for any dog! It's also the perfect doggy gift or stocking filler for your 4 legged friends! "These bandanas are such lovely quality for the price!"